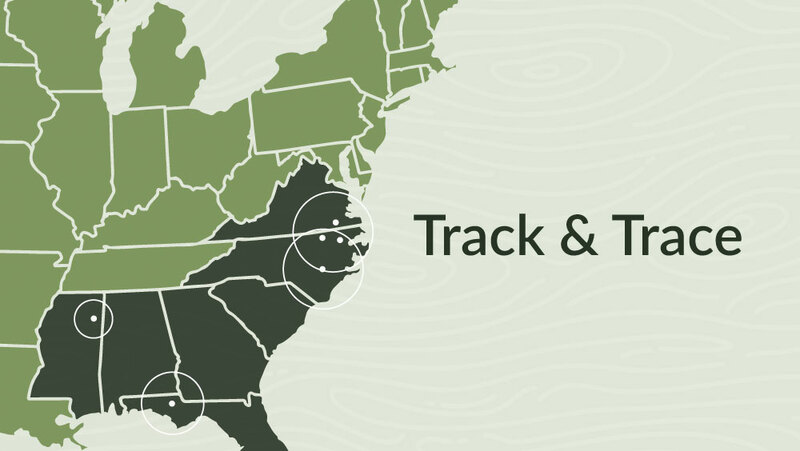 Today, we released the latest data from our innovative Track & Trace system. We now have 15 months of sourcing data and information, enabling us to provide unmatched transparency about the origin and sustainability of every truckload of wood that comes to Enviva directly from the forest. We know the precise condition of the forest and its habitats, the location of the harvest site, who owns the land, the type of forest, how it was harvested, the number of years since the last harvest, the number of acres harvested, and the percentage of the total harvested volume for each tract that came to us (and by implication, the amount that was purchased by traditional forest products users). As the world’s largest producer of wood pellets, Enviva depends on healthy and growing forests and the natural habitats they support. From day one, we have been steadfast in our dedication to our people, to the communities where we work, and to the resources we use to make our products. Sustainability is embedded in everything we do, and our commitment to responsible sourcing is grounded in a deep understanding of our supply chain. Simply put: we thrive with responsible sourcing practices. This wealth of data provides us with a detailed understanding of the wood we use. Most importantly, it helps us to ensure that our raw materials meet our rigorous sustainability requirements. The regional inventory data we summarize on our website also provides an assessment of our impact on the overall health of the forests in our region. As you can see for yourself, we can say, unequivocally, that forest area and inventory continue to increase in the areas where we operate. 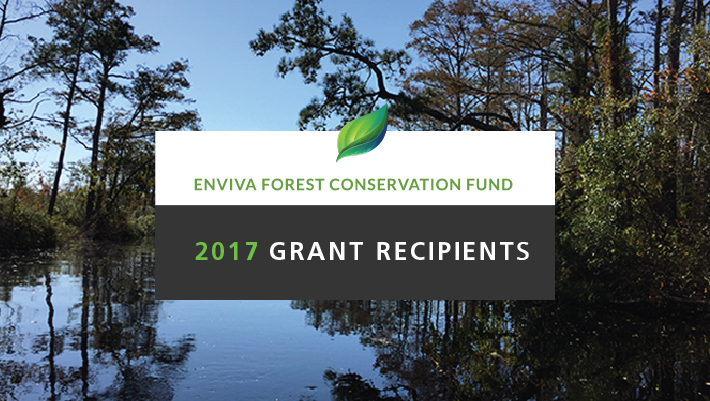 Today, Enviva and the US Endowment for Forestry & Communities announced the grantees for the second year of the Enviva Forest Conservation Fund program. We were impressed by the very high quality of the projects that were proposed to us, and our only disappointment was that we couldn’t fund more of them. It is expensive to invest in forest conservation, but our grantees tell us that our unrestricted funds can often mean the difference between a project getting done or not. Five million dollars over 10 years is a big investment for a company of our size, and we are proud of our direct contribution to conserving the most sensitive forests in these working forest landscapes. 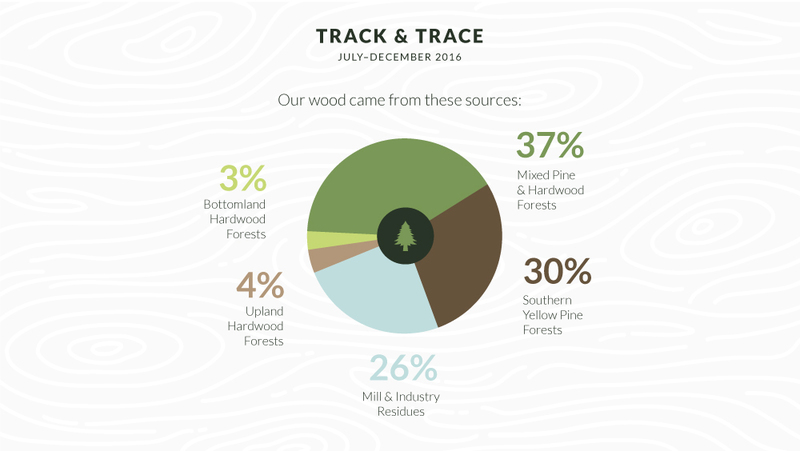 Today, we at Enviva are pleased to launch the second set of data from our Track & Trace (T&T) system, covering our wood supply from July to December 2016. The initial launch of our T&T website earlier this year sparked a lot of great conversations on Enviva’s sourcing practices, the role of biomass markets in the overall forest products supply chain, and the importance of family-owned working lands to the U.S. South’s vast forested landscape. At Enviva, we think a lot about stakeholder engagement. We understand that we have multiple groups of stakeholders — like any business, these stakeholders include our customers, regulatory agencies, and investors. But we must also consider the interests of our suppliers, our employees, our colleagues in the forest products industry, and our local communities, as well as landowners, environmental groups, and citizens. Speaking in the broadest terms possible, we might even say that the environment itself is a stakeholder. We don’t operate in a vacuum, and many people depend on our business. At times, it can even appear as if our stakeholders hold views contrary to one another — in these situations, our challenge is to understand the diverse concerns of the many people with a “stake” in our work. By engaging with people in an honest and mutually respectful dialogue, we believe that we can find solutions with positive outcomes for all concerned. Because we believe in open dialogue with our stakeholders, we have taken the unusual step of publishing our detailed sourcing data via the Track & Trace program. Because we believe in talking to people about how we can do things better, we brought together our Blue Ribbon Panel in May 2016 to discuss forest management in bottomland hardwoods. And because we believe in finding mutually beneficial outcomes we continue our work on responsible sourcing, most recently with our newly-assembled Bottomland Hardwoods Task Force. 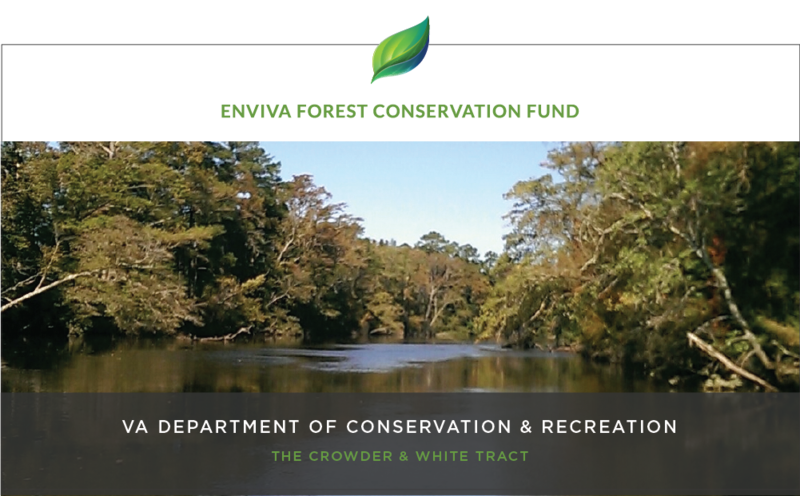 When we established the Enviva Forest Conservation Fund (EFCF) together with the US Endowment for Forestry & Communities in November 2015, we envisioned a program that would – over the course of the following 10 years – contribute to the protection of at least 35,000 acres of sensitive forests in the counties where we work in NC and VA. We outlined a grant program that would augment the funds traditionally available for conservation purposes, enabling our partners to carry out projects that they might not otherwise be able to accomplish. As it turns out, forest conservation is really hard work. To arrange for any kind of easement on a piece of property requires sustained communication and collaboration among a group of dedicated individuals and institutions, culminating in the creation of a mutually agreeable plan for the landowner, the easement holder, and the institutions providing the funds. Negotiating these agreements can take a long time, but the outcome – strong partnerships among varied groups of people working toward a common goal – is absolutely worth the effort. That’s why we are so pleased today to announce the closing of our very first project under the EFCF. This project, which allows the Virginia Department of Conservation and Recreation to acquire an easement on roughly 220 acres (known as the Crowder and White tract) along 2.6 miles’ worth of river frontage on the State Scenic Nottoway River, was one of the first four projects granted under the EFCF in May 2016, the first year of the program. Additional funding was received from the landowner, and matching funds were provided by a North American Wetlands Conservation Act grant secured by Ducks Unlimited (DU). Thank you for your interest in our blog. At Enviva, we’re proud of the hard work we’ve been doing to advance sustainability, and we can’t wait to share what we’ve been up to. We’re launching “Voices of Enviva” to share our stories with you – our stakeholders – and we’ll do our best to update it frequently. We hope you’ll take the time to send us feedback about it as well – you can reach me at jennifer.jenkins@envivabiomass.com, or on Twitter at @jenkins_jen. Today, our big news is that we’ve released the first set of data about our wood supply that we gathered from January to June 2016 as part of our Track & Trace (T&T) system. This system and the accompanying public-facing website are the result of months of hard work and thousands of hours of sustained effort on the part of our professional foresters, our suppliers, and our sustainability team. Our commitment to transparency really is unprecedented in the forest products industry and I hope you’ll poke around in our T&T pages a bit.